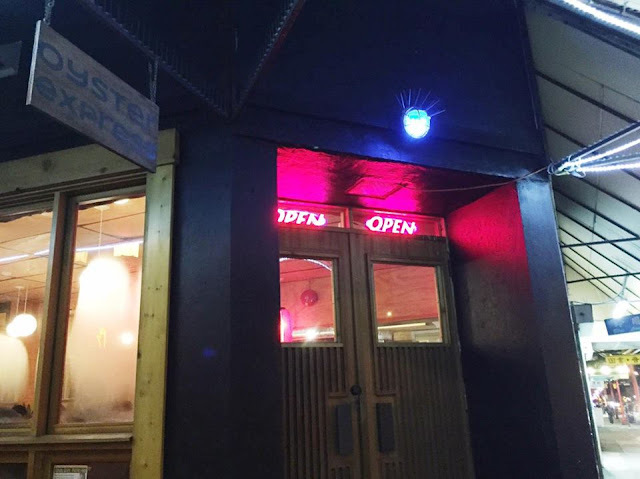 Looking for a place to catch up with my girlfriends, I suggested we go to Oyster Express during their happy hour, which is from 4:30-6:00 on Sundays. There are other happy hour times listed on their website. 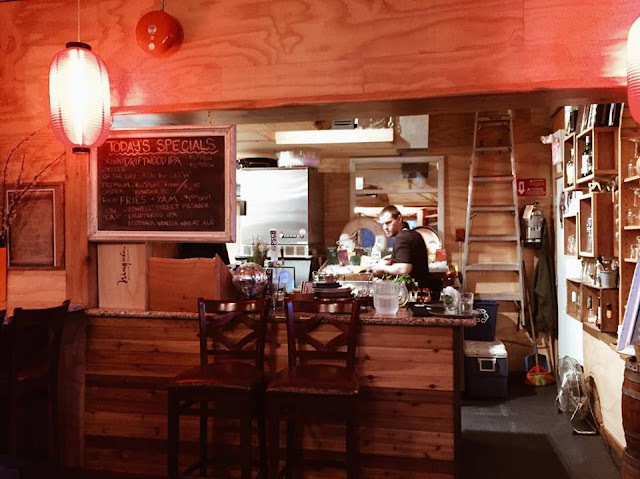 Located in Chinatown, the shop is really tiny and fits around 20 diners only. One thing we noticed is that it was very warm inside. We were all sweaty during our meal. Of course we had to get some oysters here. 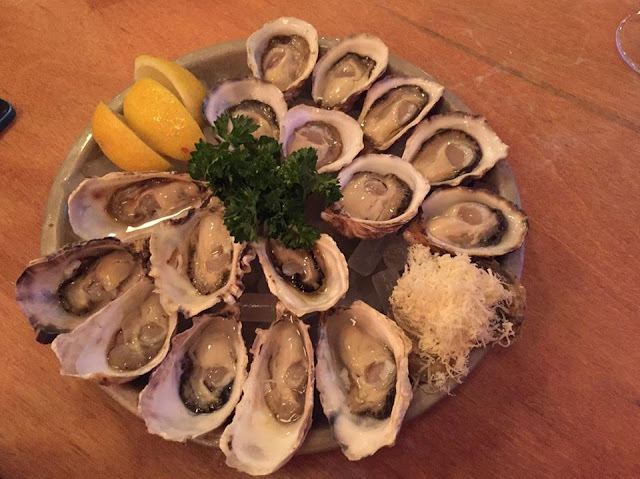 They serve the oysters with a variety of sauces. 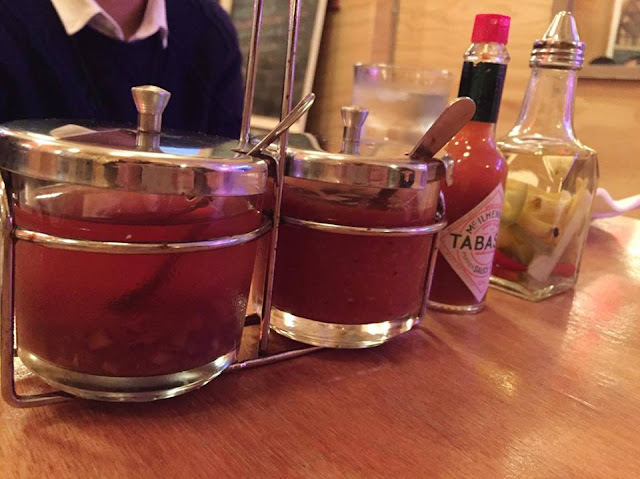 There is the basic mignonette sauce, the cocktail sauce, and Tabasco sauce. Then they have their housemade spicy sauce. I didn’t try their housemade sauce but K said it wasn’t that spicy. 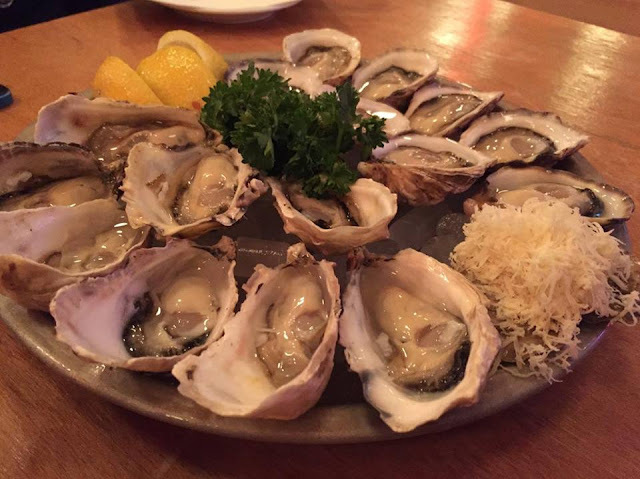 The oysters on sale for the day during their happy hour were Glacier Bay oysters. They were $1.50 each. Their Kusshi oysters were also on sale that day for $2.50 so we got some of those. The Glacier Bay oysters were rather tiny but still sweet. However, we enjoyed the Kusshis a lot more. Much bigger and plump and very fresh. For the most part, the shucking was pretty good, but we still had a little bit of shell in some oysters. Their menu is quite limited, but we did order some items to share. 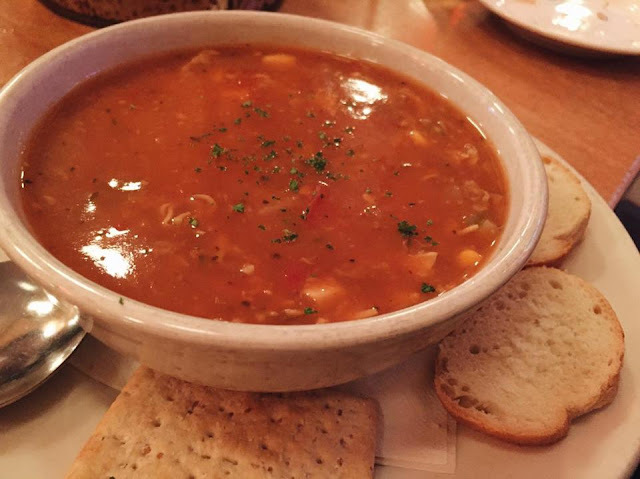 First was the Manhattan Clam Chowder. This was actually a tomato based chowder rather than a white cream. The soup was filled with tomatoes, potatoes, carrots, corn, celery, onions and of course clams. Served with some bread and cracker on the side, we really enjoyed the flavour of this chowder. 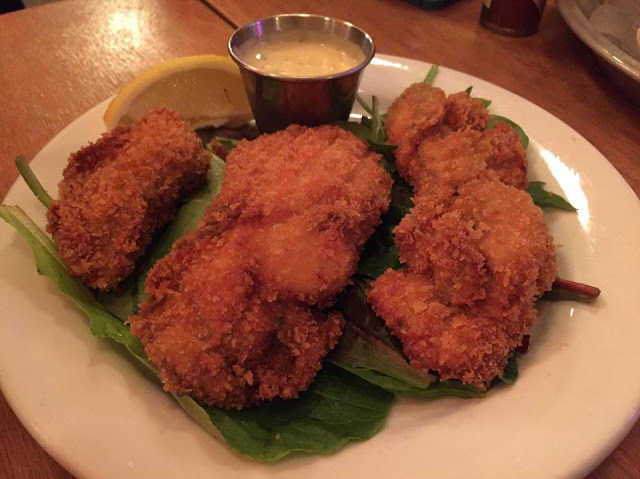 The half order of Fried Oysters came with three large oysters which were breaded and deep fried to a golden brown. The oysters were very fresh and the breading was very light. 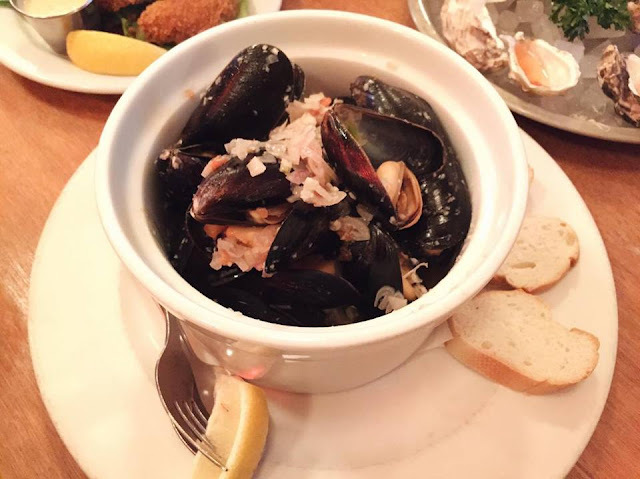 Lastly, we had the Steamed Mussels, which featured a pound of these sweet and plump mussels steamed in white wine, shallots, tomatoes, garlic, and butter. It came with a side of baguettes but not enough to enjoy the remaining sauce. Overall, Oyster Express did not disappoint although the oysters can be quite expensive if they are not on sale. They do however have an extensive list of oysters compared to many other restaurants. Service was quite friendly. No reservations unless you have a party of 6 or more, so finding a seat can be difficult at times since it’s a rather small shop.